Availability: This product is discontinued and no longer available for purchase. 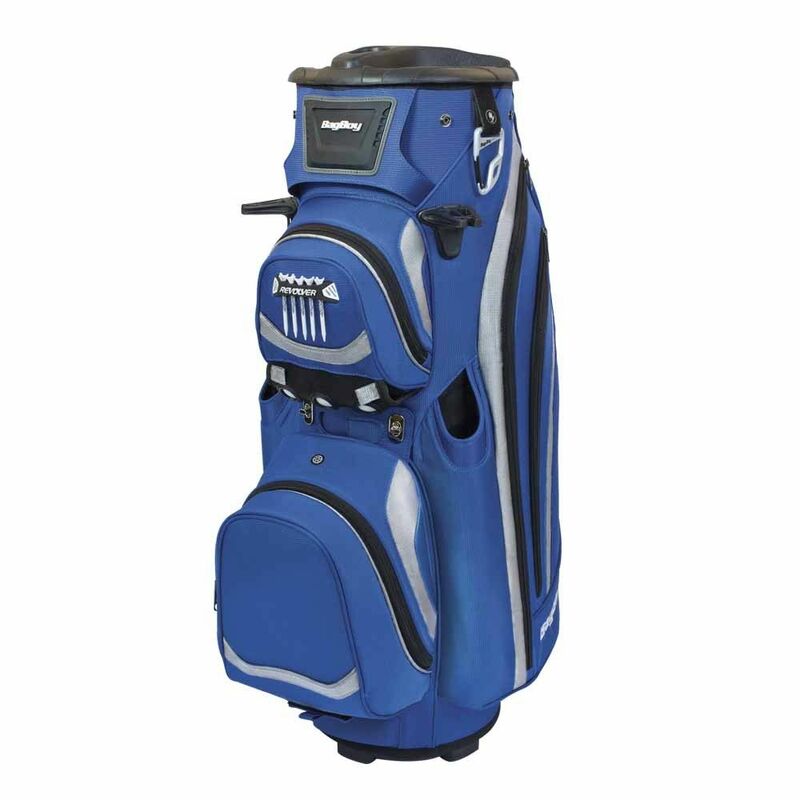 For alternatives browse our Golf Bags department. 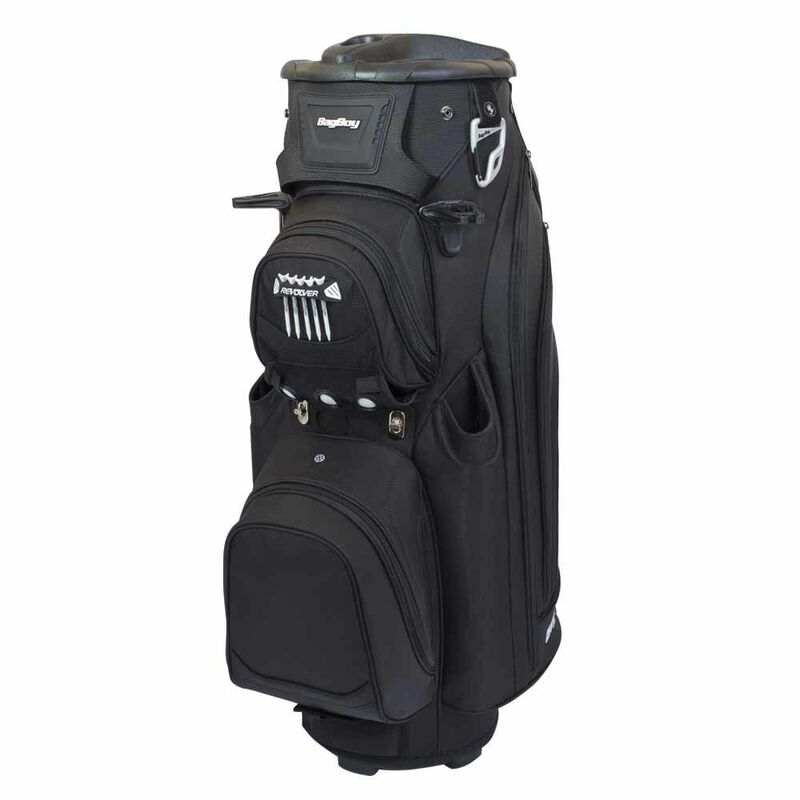 The BagBoy Revolver LTD cart bag has a great 14-way full-length Individual Divider System with 360o Revolution and uses Clip-Lok™ technology to lock your clubs into place. There are 8 pockets which include apparel pockets, a front ball area, accessory pockets, a fleece-lined valuables section, and a removable insulated cooler pocket. The golf bag has 2 external putter tubes a deluxe carabiner towel clip, a Velcro glove holder and tee holder with the tees included. Other great features on this bag are the rain hood and umbrella sleeve, the deluxe padded shoulder strap, the cart strap sleeve and quick-access neoprene ball sleeve and the integrated trunk lift handle. The bag is made from durable nylon and has rubberised traction feet. for submitting product review about BagBoy Revolver LTD Cart Bag.